Pre-Register now to enjoy multiple benefits! Medical Fair China 2018 and the Global Device Week are open for visitor registration! Medical Fair China 2018 (MFC) will be held on 6-8 September, 2018 in Suzhou together with the grand launch of the Global Device Week. Covering a total area of 15,000 square meters, MDC is expected to attract more than 300 exhibitors, over 15,000 trade visitors and about 100 industry experts, making it an event not to be missed. Online registration for visitors is now officially open. 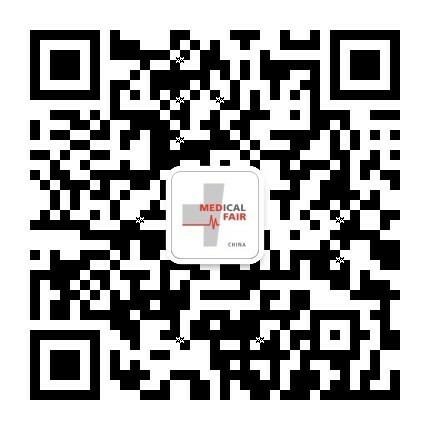 Visit www.medicalfair.cn for online pre-registration. You will receive an e-mail confirmation upon registration as well as the latest industry news update. The organizers offer multiple benefits for pre-registered visitors with the campaign “Pre-registration for Five Exclusive Benefits”, i.e. Medical Fair China is jointly hosted by Messe Düsseldorf (Shanghai) Co., Ltd. and the China Service Alliance of Medical Devices Innovation. 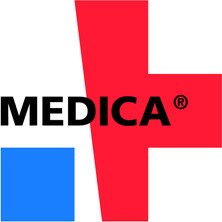 It is the only satellite exhibition of MEDICA in China and is also a member of MEDICAlliance, the world's largest medical device exhibition series. MDC receives strong and full support from MEDICAlliance. It will display a wide range of latest medical equipment and innovative technologies in the world, while offering global perspectives, expert insights and market information to lead innovation in China’s medical sector. Shanghai MicroPort, Shenzhen Mindray, Lifetech, Medtronic, Cook, Siemens, Frankeman, WuXi AppTec, Hualian Meide, Huanqiu Likang, Livzon Cynvenio, 3nod, Sanwe, Contec Medical, Diascie Technology, Wealy Medical Instrument, Peijia Medical Technology, MID-LINK TESTING CO,.LTD., Suzhou Medsure, Shaanxi Jugao-am Technology Development Co., Ltd., Jiangsu Dejian Medical Technology Co., Ltd., Beijing Zhongzhi Henghui Pharmaceutical Technology Co., Ltd., Beijing Mokobio Life Science Co., Ltd., and Koning (Tianjin) Medical Equipment Co., Ltd. etc. Center for Cardiovascular Innovations(Academician GE Junbo), Chinese Urology & Andrology Innovation Consortium (Academician SUN Yinghao), Mass Spectrometry Innovation Development Division of the China Association for Medical Devices Industry (Director WANG Chengbin), Vascular Apparatus Division of the China Association for Medical Devices Industry(Director GUO Wei), Lakeside Medical Implant and Intervention Industry Research Institute (Professor XI Tingfei), Suzhou Collaborative Innovation Medical Robot Institute (Professor SUN Lining), Dushu Lake Alliance of Medical Device Innovation, Suzhou Association for Medical Devices Industry, etc. BioBAY of Suzhou Industrial Park, Beidaihe New District, Tianjin Economic-Technological Development Area, China Medical City in Taizhou, China Minimally Invasive Surgical Instrument Town of Tonglu, Danyang Development Zone, Shanghai Free Trade Zone Science and Innovation I Project, etc. please follow our WeChat or visit our website.